Lisa White guided high school students to some of Mark Goodwin's field areas in the Upper Cretaceious of Montana as part of the NSF-funded METALS program (Minority Education through Traveling and Learning in the Sciences). 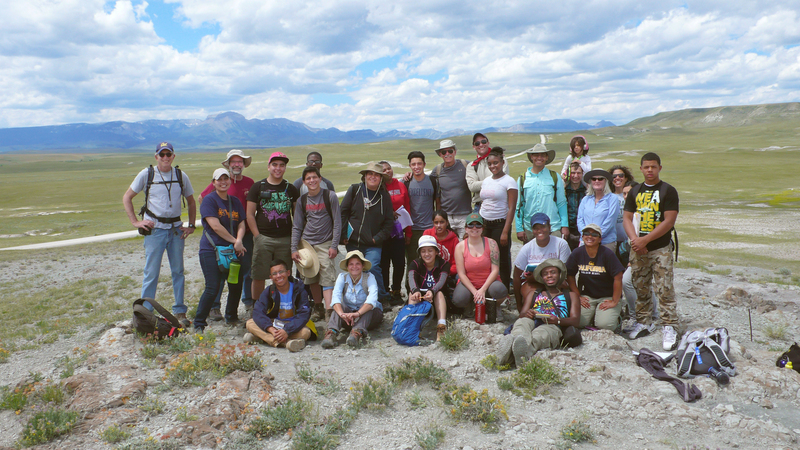 Students and faculty collaborators from the University of New Orleans and the University of Texas at El Paso were given an opportunity to explore the geological and paleontological history along the Montana Dinosaur Trail, and the trip included a stop to Yellowstone National Park en route to Montana. Ashley Poust was an instructional assistant on the trip and UCMP Director Charles Marshall and family also came along. While in Hell Creek the group joined Greg Wilson and students in Greg's University of Washington field program to explore early mammals.